In the spirit of French ciné-clubs and literary salons, FIAF’s CinéSalon program -- pairing an engaging film with a post-screening wine reception, with each evening screening thoughtfully introduced by a high-profile personality in the arts -- will begin a new series on September 30 (continuing throughout all of October) that honors the late, great filmmaker Alain Resnais (shown, right, at work toward the end of his career, and below in former times). M. Resnais, who died earlier this year just short of his 92nd birthday, while a seminal figure of the French New Wave, was not, like so many of his contemporaries, an alumnus of the film journal Cahiers du Cinema. In the words of the CinéSalon literature, Resnais "existed closer to Left Bank intellectualism, well outside of the sphere of filmmakers like Jean-Luc Godard, Francois Truffaut, and Jacques Rivette, with a dedication to formalism, modernist concerns, and social and political issues not found in the work of his fellow innovators. Focusing repeatedly on themes of time and memory, Resnais drew from the well of serious literature to offer a singular philosophical and artistic vantage point, employing enigmatic narrative structures, lush cinematography, and lyrical editing patterns to create some of the most provocative and controversial work of the period." TrustMovies has now seen just about every film -- save most of the early documentaries -- that this fellow made, and has looked forward to each new one with great anticipation. Resnais never made an uninteresting movie; even his least successful -- try 1989's I Want to Go Home, written by Jules Feiffer! -- were crazy, fascinating fun. 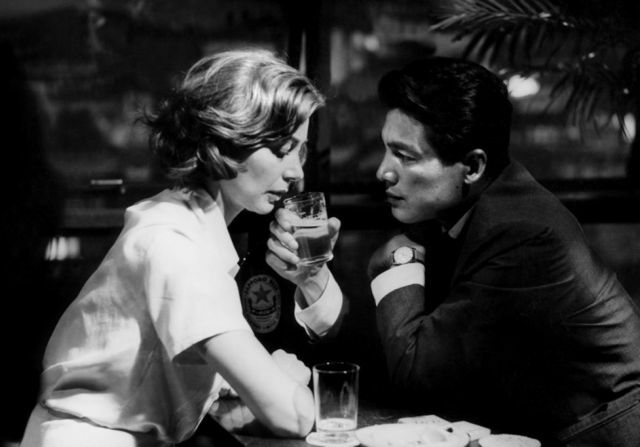 With the new restoration of his second masterpiece, Hiroshima Mon Amour (Night and Fog was his first), together with his newest (and last) work, Life of Riley,(Aimer, boire et chanter) both about to make their U.S. debut during the current New York Film Festival, this proves a most opportune time for a mini-Resnais retrospective. Even more important, to celebrate Resnais, the five films to be shown at FIAF's Florence Gould Hall could not have been better chosen to give a sense of the breadth and depth of this man's work. Below is a listing of the films -- with FIAF's comments on the films followed by short paragraph with TrustMovie's take on each -- together with the date and times of their screenings. Don't miss this wonderful opportunity to discover, or more probably view again, five true masterworks. 35mm 1968. Color. 94 min. With Claude Rich, Anouk Ferjac, Olga Georges-Picot, Alain MacMoy. In French with English subtitles. 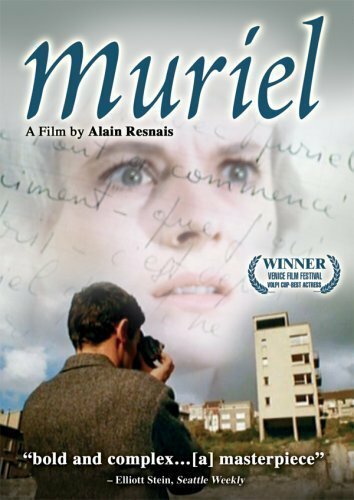 TrustMovies had not seen this relatively early Resnais until now, and what a "find" it is. What fun it is, too, seeing actor Claude Rich (above and below) again as a young man. 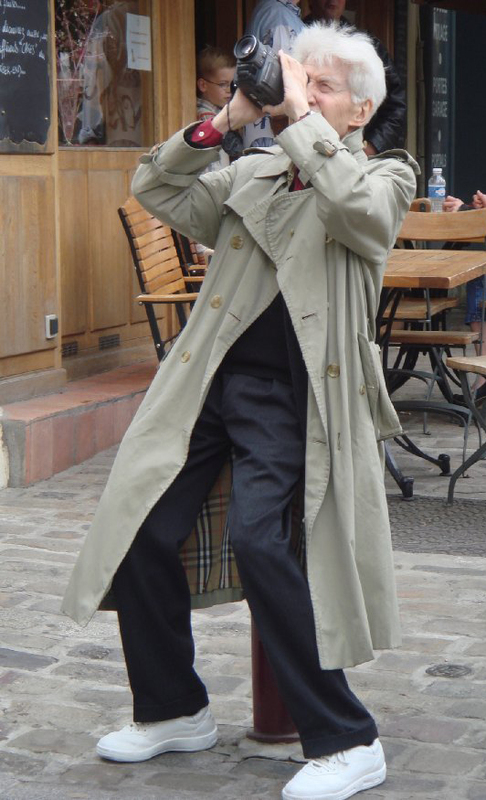 Here, M. Resnais, always the playful guy, had quite a novel idea about time travel: Going back to the past is simply a matter of accessing memory! The time travel involves the workplace and vacations, loneliness and solitude, even suicide, murder and -- yes -- mice! Mostly, though, it's about guilt, and that utterly messy situation we call love. 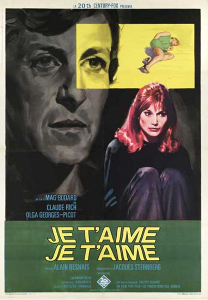 A film that was way ahead of its time, Je t'aime, je t'aime will still keep you alert and jumping as you watch it today. A free wine reception following each screening. The 7:30pm screening will be introduced by director Radley Metzger. 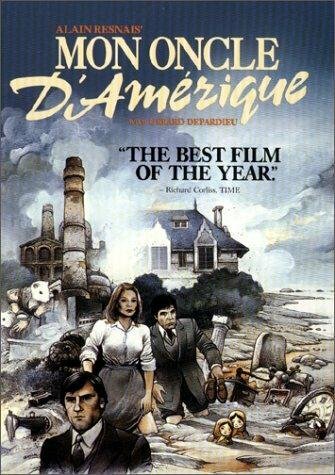 About Radley Metzger: Writer, Producer, Director Radley Metzger was most recently the subject of a retrospective at the Film Society of Lincoln Center, which included his cult classics Score, Camille 2000, The Image, and many others. Metzger also received a retrospective at the Museum of the Moving Image. He has lectured at the Museum of Modern Art, and at Eastman House in Rochester, New York. 35mm 1980. Color and B&W. 125 min. With Gérard Depardieu, Nicole Garcia, Roger Pierre, Nelly Borgeaud. In French with English subtitles. Free wine reception following each screening. 7:30pm screening will be introduced by neuroscientist Leah Kelly. About Leah Kelly: New York-based neuroscientist Leah Kelly is currently at Rockefeller University where she uses electrophysiology and optogenetics to map the neural circuitry underlying appetite. She has consulted and spoken on various projects at the intersection of art and science for organizations including the Palais de Tokyo and Villa Gillet, and is currently making a short film about synesthesia. 35mm 2009. Color. 104 min. With André Dussolier, Sabine Azéma, Emmanuelle Devos, Anne Consigny. In French with English subtitles. 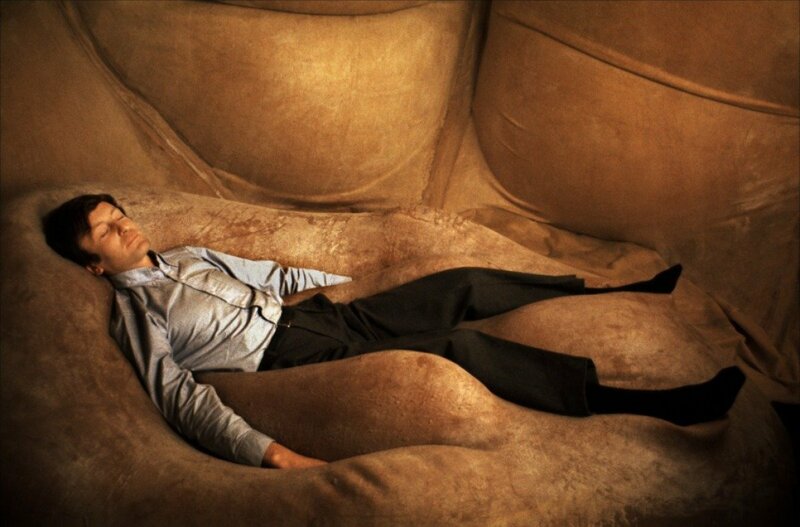 My favorite of Resnais' recent work, this adorable, bizarre, challenging film is chock-a-block with ideas and imagination, and is especially gorgeous visually. My original review of the film can be found here, and if you managed to miss its theatrical run or the fine Blu-ray disc, then by all means get to FIAF for a look-see. The 7:30pm screening will be introduced by Lucius Barre, a colleague of Alain Resnais. About Lucius Barre: An expert on strategic planning and management of promotional campaigns for new films, filmmakers and companies, Lucius Barre has worked with renowned filmmakers such as Pedro Almodovar, Errol Morris, and Luc and Jean Pierre Dardenne. 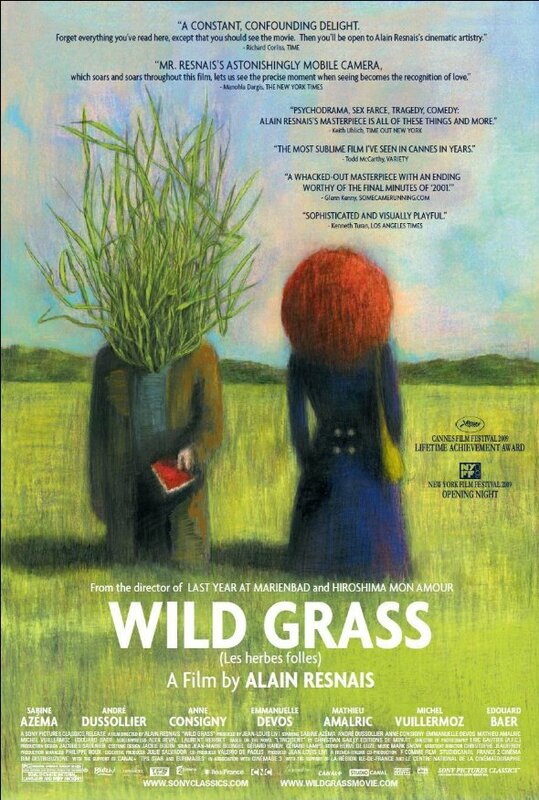 He worked closely with Alain Resnais for the Cannes premiere and US release of Wild Grass. 35mm 1963. Color. 117 min. With Delphine Seyrig, Jean-Pierre Kérien, Nita Klein. In French with English subtitles. When I first saw Muriel at the time of its initial U.S. release, I found it slow and confusing. I was far too young and untutored and thoughtless, really, to deal with a movie this good. When I saw it again, 30 years later, I was overcome. What a film! It may be the filmmaker's best. Dealing with memory and history, and featuring a landmark performance by one of the great actresses of our time, Delphine Seyrig, the film is a keeper in, oh, so many ways. The 7:30pm guest speaker remains to be announced. DCP 1977. Color. 99 min. With Dirk Bogarde, Ellen Burstyn, John Gielgud, David Warner and Elaine Strich. In English. 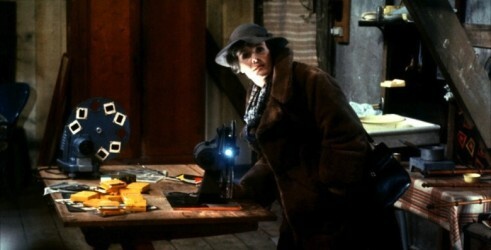 Providence is another of Resnais' movies that I have not seen since it first opened in the USA. (I have been told that the quality of the video reproductions were simply not good enough for this beautifully shot and produced movie, so I am eager to view the new DCP version that FIAF will screen.) What I recall best about this film are its superb performances from the spectacular cast (listed above) and how it so masterfully weaves present and past. I am most eager to see and savor this film once again. The 7:30pm screening will be introduced by author, Olivier Barrot. About Olivier Barrot: A prominent figure in French culture, Olivier Barrot is a journalist, author and television personality. He hosts the daily literary program “Un livre un jour” on France 3 and TV5. His most recent books are Ciné Club (2010), Tout feu tout flamme, La Revue Blanche, and Le Fils Perdu (all in 2012). For the past six years, he has hosted French Literature in the Making at New York University. 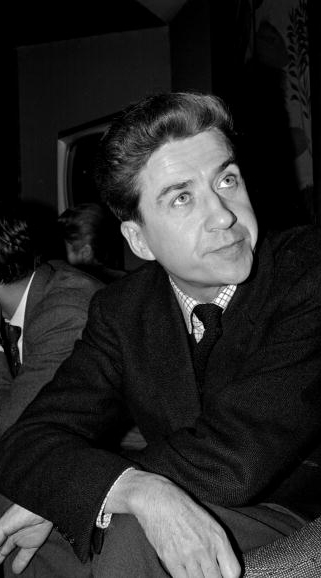 DCP Alain Resnais, 1959. Black & White. 92 min. With Emmanuelle Riva, Eiji Okada. In French, Japanese, and English with English subtitles. Few films have had such a lasting, wide-ranging impact. 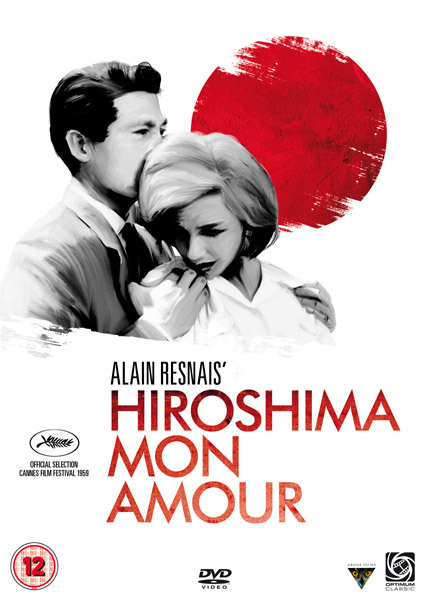 Hiroshima, mon amour is a devastating experience on every level: visually, sonically, emotionally, intellectually. Thanks to a new 4K restoration, it can now be seen and heard, once again, in its full glory. Restoration by Argos Films, Fondation Groupama Gan, Fondation Technicolor, and Cineteca Bologna, with support from the CNC. A Rialto Pictures release. 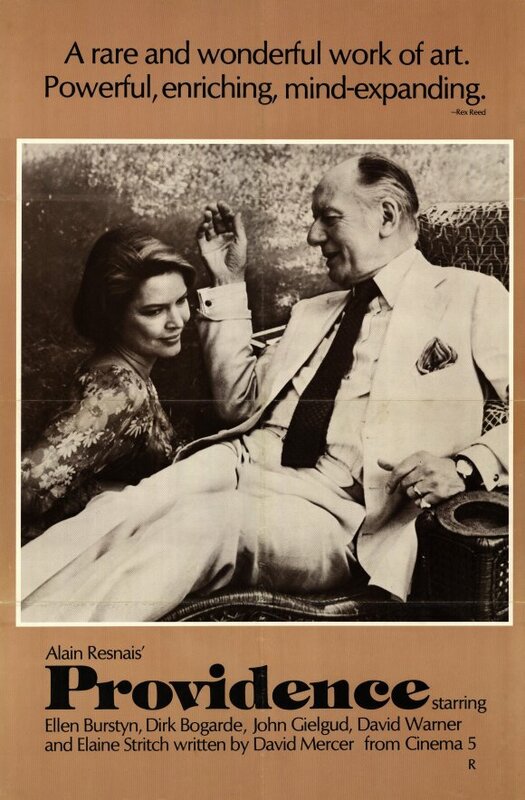 Friday, October 10, 9pm, Walter Reade Theater (165 West 65th Street, north side, upper level) Saturday, October 11, 2pm, Francesca Beale Theater, Elinor Bunin Munroe Film Center (144 West 65th Street, south side) DCP Alain Resnais, 2014. Color. 108 min. 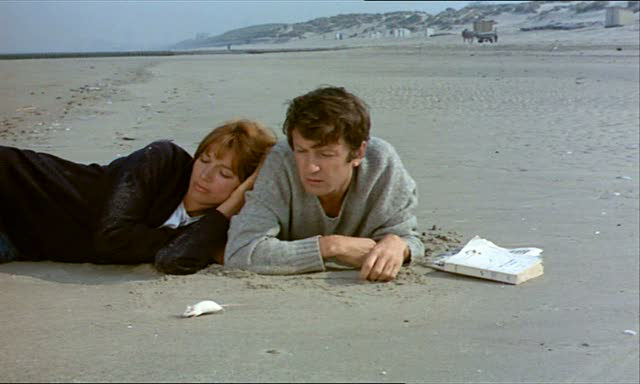 With André Dussolier, Sabine Azéma, Michel Vuillermoz, Hippolyte Girardot, Sandrine Kiberlain, Caroline Silhol In French with English subtitles. I'll havesomething to say about this film during the week of its theatrical opening. 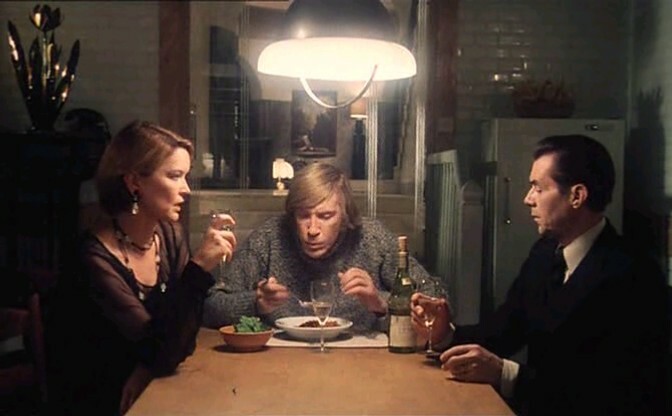 Meanwhile, here's the FIAF "take" on it: Adapted from Alan Ayckbourn’s Relatively Speaking, Life of Riley, the final work by Alain Resnais, is the story of three couples in the English countryside who learn that their close mutual friend is terminally ill. Yet that story is only half the movie, a giddily unsettling meditation on mortality and the strange sensation of simply being alive and going on, feeling by feeling, action by action. 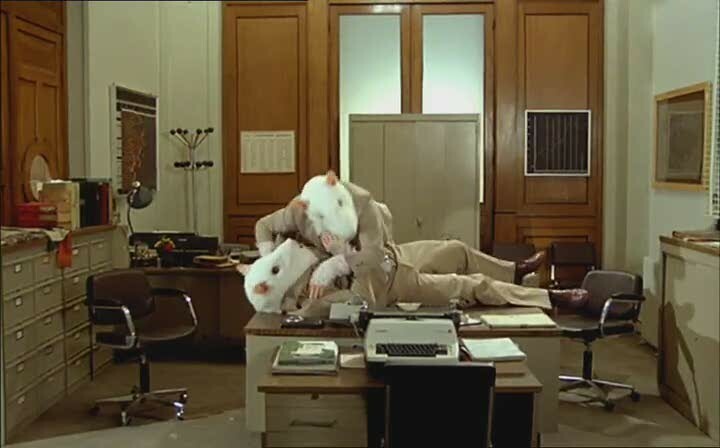 The swift, fleeting encounters between various combinations of characters (played by Resnais regulars André Dussollier and Sabine Azéma—the director’s wife—along with Michel Vuillermoz, Hippolyte Girardot, Sandrine Kiberlain, and Caroline Silhol) take place on extremely stylized sets, and they are punctuated with close-ups set against comic-strip grids, and broken up by images of the real English countryside. 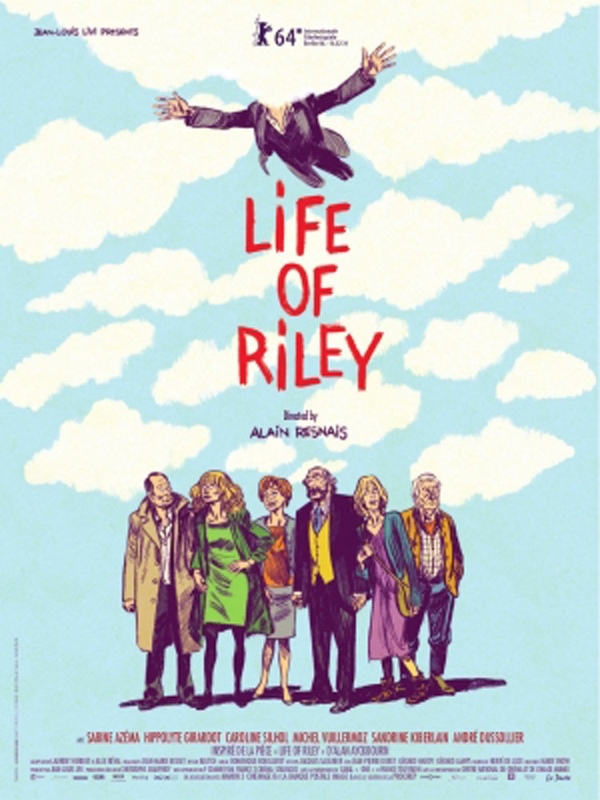 Funny but haunting, Life of Riley is a moving, graceful, and surprisingly affirmative farewell to life from a truly great artist. A Kino Lorber release. Both films are presented as part of the 52nd New York Film Festival. For more information, visit filmlinc.org. The French Institute Alliance Française (FIAF) is New York’s premiere French cultural and language center. FIAF's mission is to create and offer New Yorkers innovative and unique programs in education and the arts that explore the evolving diversity and richness of French cultures. FIAF seeks to generate new ideas and promote cross cultural dialogue through partnerships and new platforms of expression. www.fiaf.org Merci! Special thanks to Anne-Catherine Louvet (Institut français), Mathieu Fournet (Cultural Services of the French Embassy), Michael Piaker and Michael Di Certo (Sony Pictures Classics), Laura Coxson (Janus Films), and Jake Perlin (The Film Desk). CinéSalon is made possible by the Institut français, the Cultural Services of the French Embassy & the NY State Council on the Arts with the support of Governor Andrew Cuomo & the NY State Legislature. CinéSalon is sponsored by Air France and Delta Air Lines, BNP Paribas, Nespresso, and Sofitel. Wine courtesy of Xavier Wine Company, the exclusive CinéSalon wine sponsor. FIAF Fall 2014 Season Sponsors: Air France and Delta Air Lines, the official airlines of FIAF; Cultural Services of the French Embassy; Florence Gould Foundation; Institut français; National Endowment for the Arts, Art Works; New York State Council on the Arts; NYC Department of Cultural Affairs; French-American Fund for Contemporary Theater, a program of FACE; The Peter Jay Sharp Foundation; and Laura Pels International Foundation for Theater.